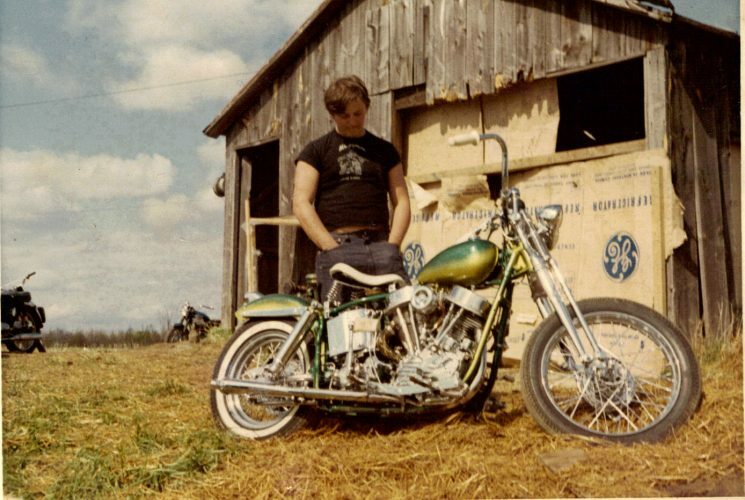 Harley-Davidson®: the brand, the motorcycle, the community, Léo Bouchard made it his life. 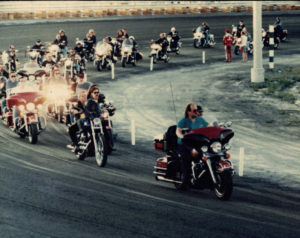 In 1974, Léo Harley-Davidson® opened on Verchères Street in Longueuil. Soon, Léo Harley-Davidson® has built a solid reputation in the world of motorcycles. Buying your Harley-Davidson® at Léo was practically a privilege. Everyone wanted to be in the good graces of Léo Bouchard. To buy at Léo was to be part of the family, quite simply. Léo Bouchard was also a big fan of motorcycle racing. Whether on the track, with customers or for Harley-Davidson®, Léo worked hard to be the first, the number one. No wonder that in 1984, Léo Harley-Davidson® was named best Canadian Dealer of the Year by Harley-Davidson®, just ten years after it opened. Despite the evolution of how business is done nowadays, customers who come to Léo Harley-Davidson® feel like family. Confidence is still there. On Saturday, February 25, 2017, at the Sheraton Dorval Hotel, Léo Bouchard was inducted into the Canadian Motorcycle Hall of Fame, along with 8 other people who have also made their mark in the motorcycle world over the last few decades. Léo’s son, Éric Bouchard and Arianne Bouchard, Léo’s granddaughter, received the award in honor of the great man. Recently, the dealership was acquired by Groupe Park Avenue. Groupe Park Avenue, a family-owned Quebec company in operation since 1959, wanted to expand its offer in terms of mobility. With the desire to be recognized as the one-stop shop for all the needs of its customers, it made sense for the automobile group to add a leisure component for its customers. Léo Harley-Davidson® is Harley-Davidson®’s oldest exclusive dealer in Quebec. The company has 30 employees who will continue to serve customers under the general management of Jean-Luc Dionne. Groupe Park Avenue, now run by Norman E. Hébert, has 23 car dealerships and one boutique. 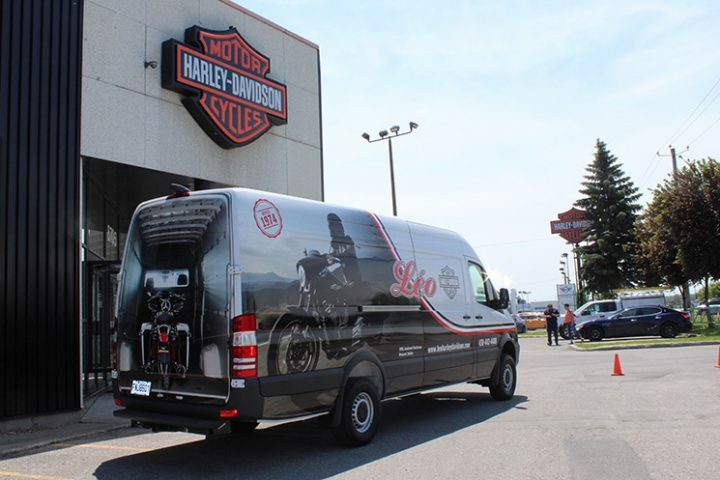 It employs over 1,070 people with the addition of Léo Harley-Davidson®. 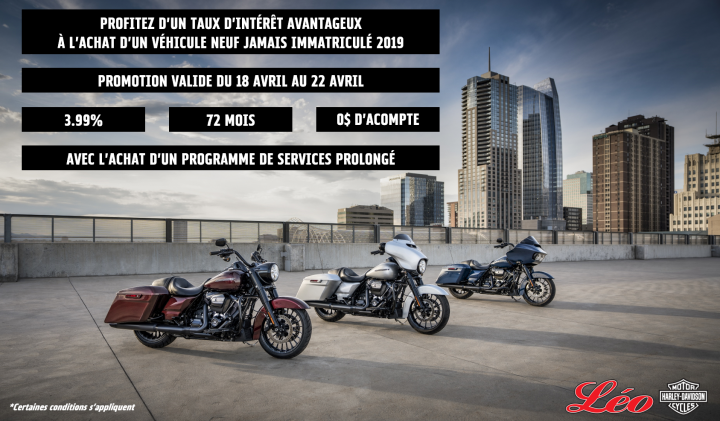 Léo Harley-Davidson®: new motorcycles, used motorcycles, parts, clothes, accessories, storage and, of course, performance. 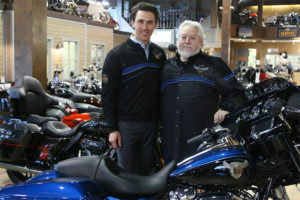 To date, Léo Harley-Davidson® dealership is still considered a leader in the field in Québec.